The popularity of bullet proof tea and coffee has been on the rise lately and we thought it would be a great recipe to share with you all. The basis behind this magical drink is that the coconut oil and caffeine in the drink increases your energy and cognitive functions without the crash of a normal cup of coffee or tea. Essentially, it will get you up and running and keep you going with out the normal afternoon slump. While the coffee version is great, we prefer our tea. We’ve tried several different versions but we like taking a slight twist on Tim Ferris’s preferred mixology. In a tea brewer or strainer mix together green, pu-erh, herbal and yerba mate tea. Fill with 8 – 12 ounces of hot water and let brew 2 minutes. Strain tea and mix in coconut milk and oil. 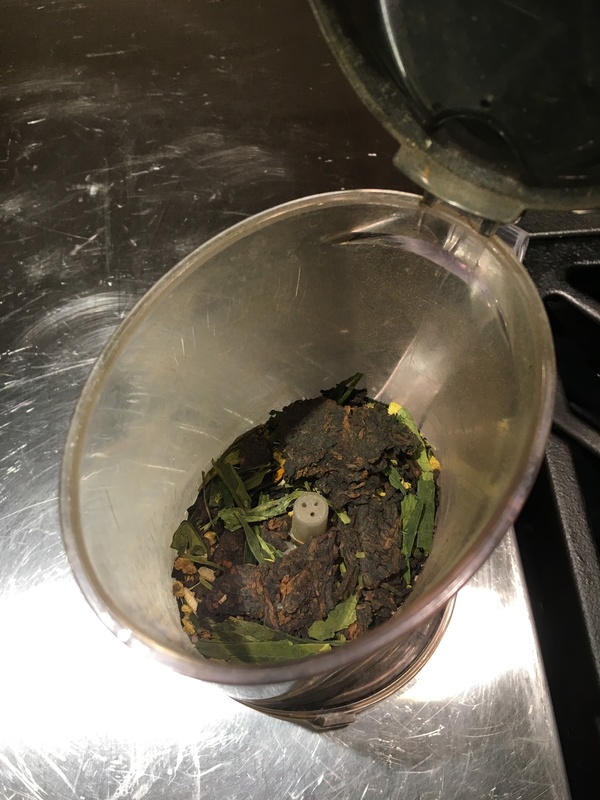 This tea is simple to make and we’d love to hear your take on it’s effectiveness. Fire off in the comments below! Looking for a delicious meal that whips up fast and leaves left-overs to munch on while snuggled in your PJs this coming weekend? Look no further! This Greek-style, Paleo take on the traditional Shepherd’s Pie adds a subtle infusion for your tastebuds, while keeping memories of Grandmother’s dish. It’s healthy, super simple and of-so comforting. 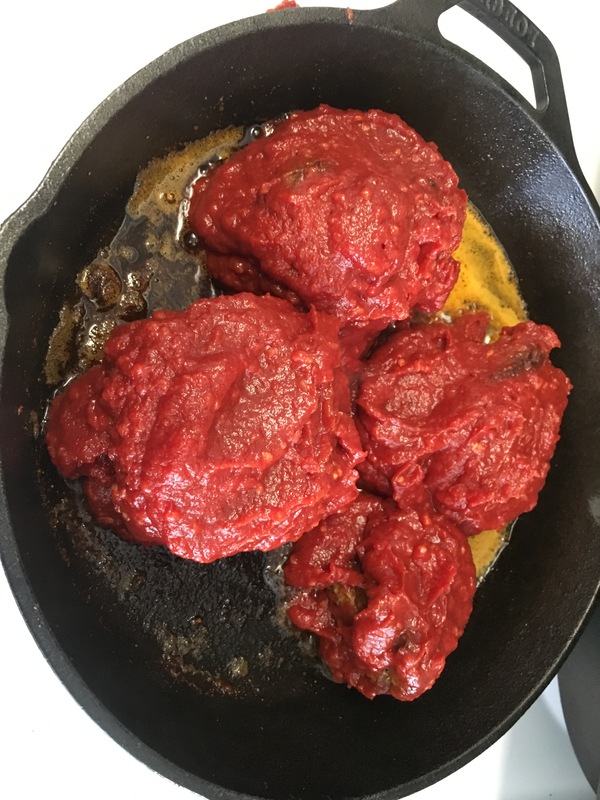 Hot Tip: If you have a cast-iron pan, you can cook the meat in that on the stovetop, then build the layered Pie in that same pan and simple pop it into the oven to broil at the end. Steam or boil the sweet potatoes until tender. While the sweet potatoes are cooking, pre-heat a large saucepan at medium heat, add the bacon and cook until browned. Remove the bacon from the saucepan (saving the bacon grease in the pan) and cut the bacon into dime-sized pieces. Cook the ground beef in the bacon greased saucepan until well-done. Add the bacon pieces back into the saucepan, along with the broccoli florets and stir in with the cooked ground beef. Place the meat mix in an oven-safe dish (approximately 9 x 11 inches). Spread a layer of olive tapenade over the meat mix. Mash the sweet potatoes and create a layer of sweet potato over the olive tapenade layer. Sprinkle with fresh or dried mixed herbs. Top with with feta (if desired) and place in the oven to broil for about 5 minutes until the sweet potato browns slightly. 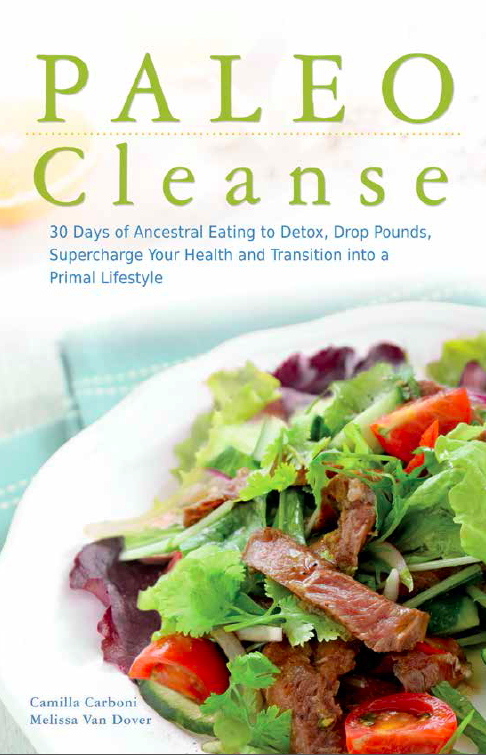 Refrigerate left-overs in an airtight container and enjoy within 3 days! It’s Valentine’s day, which means it’s time to treat your special someone to something special. Here are our top 5 valentine’s day treats that are perfectly paleo and easy to whip together if you’re in a last minute time crunch. It’s that time of year again…the holidays! 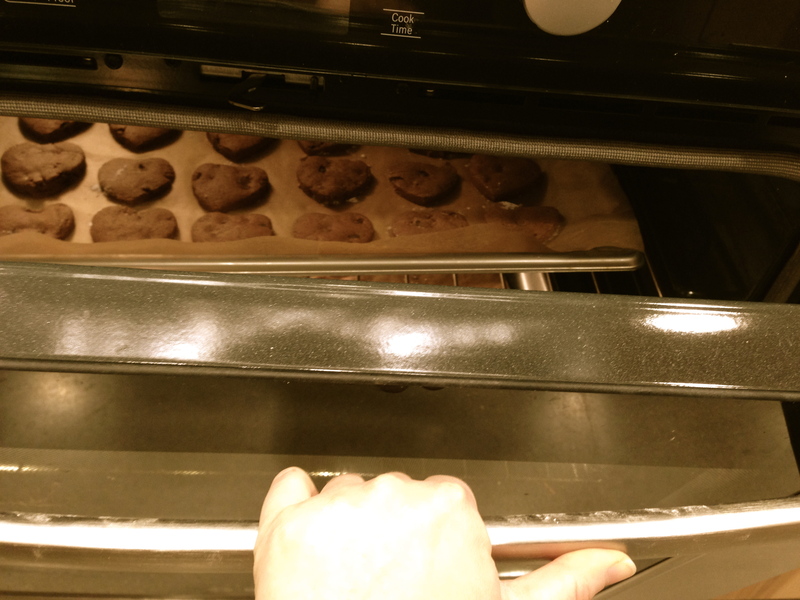 In celebration we decided to open up our Quick & Fantastic Paleo Cookies cookbook and start baking. 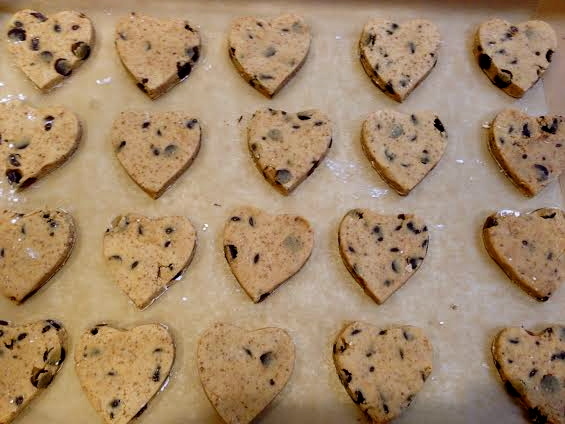 It smells delicious here and we hope you’ll join us in baking some fabulous cookies. You can grab your copy of our Quick & Fantastic Paleo Cookies cookbook on Amazon. The best part you ask? It’s free! Now it’s time to dig out our coconut milk and enjoy these wonderful beauties. We’d love to see what you baked up this holiday season. 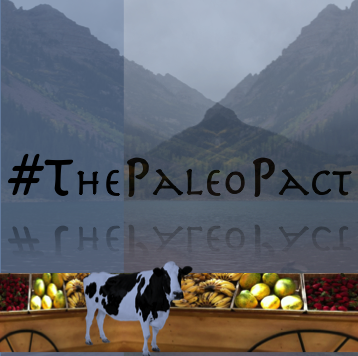 Share your pictures and stories with us on Twitter @ThePaleoPact or Facebook. We look forward to hearing from you. You may have noticed that we LOVE pie! So we can’t resist making traditional pie recipes Paleo-friendly to enjoy all holiday season long, without the guilt. Paleo Pie Crust – gluten-free, grain-free pie crust. Coconut Pie Crust – Paleo Pie crust designed for those with egg-allergies. Traditional Pumpkin Pie – decadent homemade Pumpkin Pie from scratch. Egg-free Pumpkin Pie – Pumpkin Pie created especially for those with egg-allergies. Mango Key Lime Pie – a slightly sweet, slightly tart touch to the holidays. Sweet Potato Pie – a slight twist on the Pumpkin Pie classic. Christmas Pie – a Mince Pie inspired treat. Berry Pie – an antioxidant rich dessert. Apple Pie – an American favorite. There is something about barbecue that I just can’t get enough of. Thankfully, paleo and barbecue tend to go well together. If you’re looking to try your hand at an easy, paleo barbecue dish this one is for you. Find your wet wipes and bring your appetite, it’s time for some barbecue braised short ribs. Cover short ribs with simple taco seasoning and pat to ensure seasoning sticks to ribs. 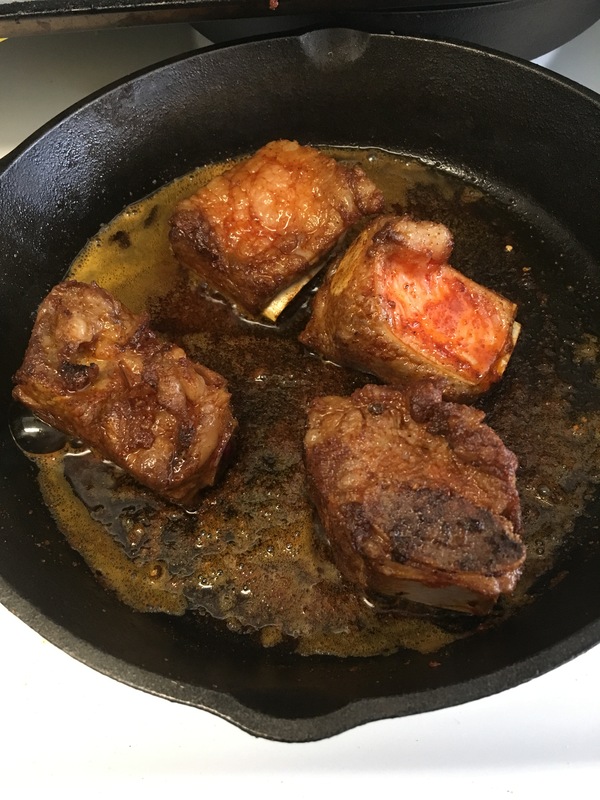 Sear short ribs, rotating sides until they are golden brown. Reduce heat to medium-low and cover with barbecue sauce. Cover pan and let cook for roughly 20 minutes. Stir occasionally and baste ribs with sauce in pan. After 20 minutes, or when meat has pulled away from the bone; remove from heat and serve. These ribs are delicious and so easy to make. I hope you enjoy your barbecue dinner and remember, when in doubt…always make extra!